Most used car dealerships are clear on a basic reality—they need to have some sort of presence on social media. Beyond that, things can get a little dicey. 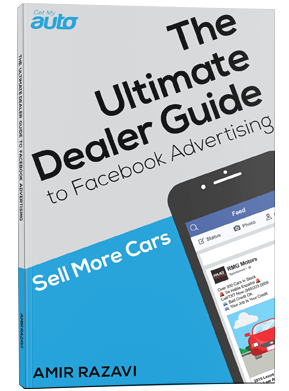 Here at Get My Auto, one of our services is helping dealerships wrap their head around social media marketing. As such, we are always happy to field inquiries about how the best dealerships can engage with their social media following. In this post, we’re going to round up a few of the most commonly asked questions and provide some quick feedback. If your burning question isn’t listed here, however, don’t panic; just reach out to us and we’ll be happy to provide some guidance! 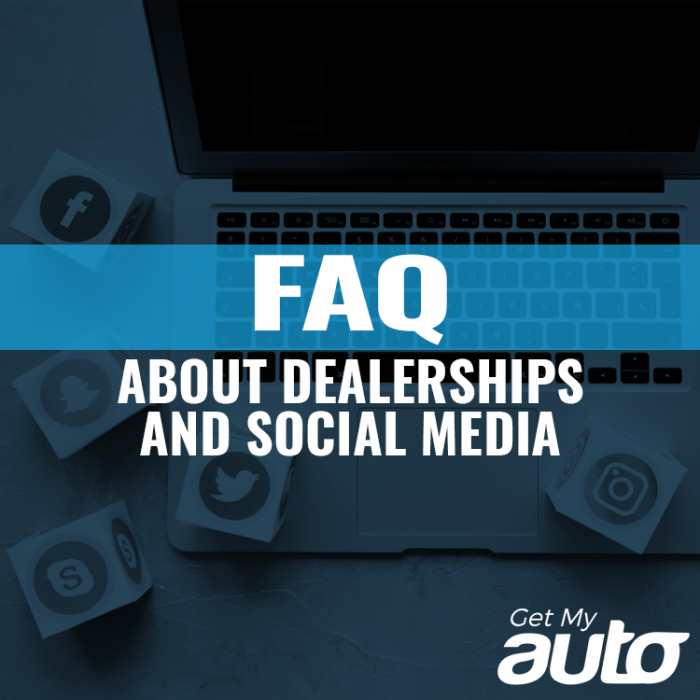 Should my dealership be active on all social media platforms? It’s close to impossible to maintain a presence across all social platforms—and trying to do so will prove incredibly expensive, to say nothing of ineffective. It’s smarter to concentrate on a few platforms where you can make your investment go further. Facebook is still the only we recommend most highly; the second tier is Instagram and Twitter. Anything else is really just gravy, and most dealerships will want to stick to this core trio. Are paid ads worth the investment? We generally don’t advocate for paid Twitter ads, because they’re simply not that useful. For Facebook and Instagram, however, ads can be highly effective. In fact, we’d say they are almost necessary, not as a replacement for organic reach but as a way to augment and enhance it. How much should I spend on paid Facebook ads? That’s really dependent on your marketing budget, but one thing we’ll say is that Facebook makes it easy to bid small amounts as you try to fine-tune your target audiences and your keywords. Once you know the lay of the land, you can increase that ad spend. Consistency is really the key. We’d recommend a Facebook post at least once daily, and Instagram three to five times a week. Use an editorial calendar to get a jump on your posts, and ensure you maintain that routine. What kind of content should I post to Facebook? We recommend a split between promotional and educational content. By all means post picture of new inventory, and information about upcoming sales or promos. Also share blogs, videos, and articles about auto maintenance and related topics, helping to build trust and establish your authority. Is social media the only thing I need to grow my dealership’s online presence? No—but when paired with SEO and Craigslist, it can be a powerful tool. Didn’t see your question here? Again, we invite you to reach out to the marketing experts at Get My Auto and ask us what you should be doing to grow your online presence!